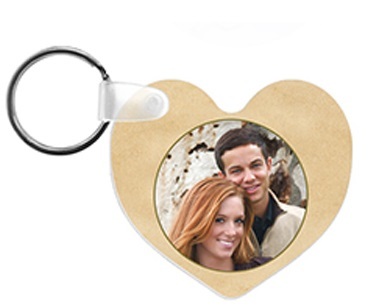 It’s the season of love, and everyone is excited to get beautiful, heartfelt, personalized gifts for that special someone. This is fantastic opportunity for your sublimation business. But how do you make the most out of this once a year holiday? Well, we at Conde have a few tips we’d like to share with you. Start Now! If you have not already began to prepare for Valentine’s Day, now is the time! It's important to get a head start before any prominent holiday where gifts are exchanged. Make sure your supplies and blank products are fully stocked in time to create samples and/or fulfill orders in a timely manner. Getting a jump start on this holiday will allow you time to take more orders. Also, it will enable you to produce great, quality work that showcases the best of what your business has to offer. Utilize Social Media/Networking: Social media is a hugely used platform for marketing and promotions for millions of businesses and brands. Why not use it for yours? Take if from reality star and pop culture phenomenon, Kylie Jenner. Her entire $900 million-dollar cosmetic company, Kylie Cosmetics, is completely advertised on her Instagram page. No money spent on commercials, magazine ads; strictly social media posts. That says a lot about how social media can grow your business in no time. Social networking can be a profitable tool if utilized wisely. For example, using appropriate hashtags in posts, tagging other businesses your work for, showcasing your work online, posting positive reviews about your business from satisfied customers. Also, it’s well worth while to investigate selling on Facebook and Instagram. Post frequently, four or so times per week at least, post interesting, relevant content, and watch your businesses exposure organically grow. For more insight, read Sublimation Business Marketing with Social Media. Ask for referrals/Tell a friend. One of the rules of sublimation business marketing is to always put your contact information on the back of the substrate (if possible). That way, if the product is a gift they absolutely love, they know how to contact you to order more. So, to ensure you’re taking advantage of good old fashion word of mouth, always ask your clients to refer you to their friends and family. Samples: It’s important and helpful to have samples already created and beautifully displayed for potential clients to look at. Even if the request a more custom design, they will still have general idea of what you’re offering. 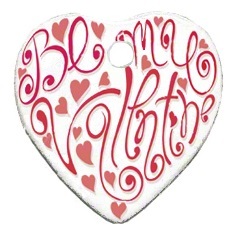 Design and press a few samples of want you want to feature for Valentine’s Day and show them off in a gorgeous display that make passers-by stop and admire. Create packages: While you are coming up with samples, begin to think of possible packages you can create with various products that complement each other for a beautiful Valentine’s Day gift set. For instance, you can put together our Heart Handle Double Love Mug set, Heart-Shaped Sandstone coaster, and Heart FRP Magnet as a loving bundle for that special lady. Offer them at a special/discounted price to sweeten the pot. For example, a package called Forever Love, for that special someone. A package for Daughters, Mothers, etc. Don’t forget them this holiday! They represent a large potential market often over looked. For more information on Condé products, services, and resources, visit www.conde.com.